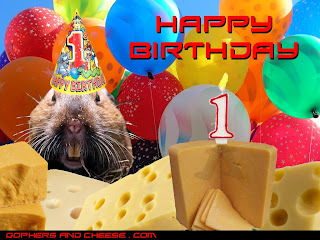 Gophers and Cheese: Happy Birthday!!! It's my blog's first birthday! I started Gophers and Cheese back on March 24th, 2010. One year, 234 posts, and about 1,400 original photos later, it's still here and going strong. Thanks for visiting!! !